In August 2014, Hurricane Iselle and Hurricane Julio were on its way to hit the big island of Hawaii. It was the perfect storm that would devastate not only the big island, but would affect all the islands of Hawaii. In just a few hours, the hurricane was reported to go straight towards my house. Desperate and scared, I asked Mother Earth for help. It was then that I was shown the exact way to shift realities from the reality that the hurricane did damage to my family's home, to the reality where it didn't even occur. I thought it was just a miracle! In the middle of this experience, the wind, rain, and thunder of the hurricane totally stopped and suddenly it was quiet, peaceful, with no sign that the hurricane was passing through. What was also amazing is that the second hurricane, Julio, suddenly moved away from the islands and also dissipated. Then for the next 2 days, there were the most quiet, PEACEFUL, and blue sunny days! Hurricane Iselle had hit the huge mountains of Mauna Loa and Mauna Kea, and just dissipated. Unfortunately, the hurricane did devastate the southern Puna side part of the island and left thousands of people without water and electricity for 3 weeks. I felt so lucky to even survive this experience and set out to figure out what really happened. This sacred space meditation is the EXACT meditation and method I used to shift into the reality where the hurricane never even touched the city I was in. 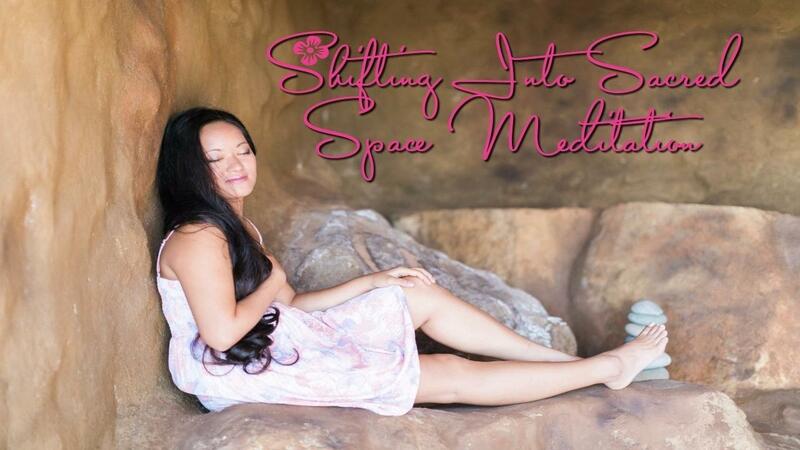 After this experience, I learned how to perfect this method and utilize it to make shifts in all aspects of my life in order to instantaneously create sacred space and peace! I decided to share it with everyone. This sacred space meditation is just one of the various ways to shift realities. I hope you enjoy!